“Five years ago I developed severe pain in my lower back that kept me from getting more than four hours of sleep at a time. After several years of this I was at my breaking point. Stephen put together a training program designed specially for me to target my problem areas. That was two years ago and I am still pain free and able to sleep through the night.” Kristie F.
“I have been working with Stephen through periods of time over 6 years. Stephen always modifies the workouts to adjust to my progress. He provides challenges to keep things fresh and drive the body to change. 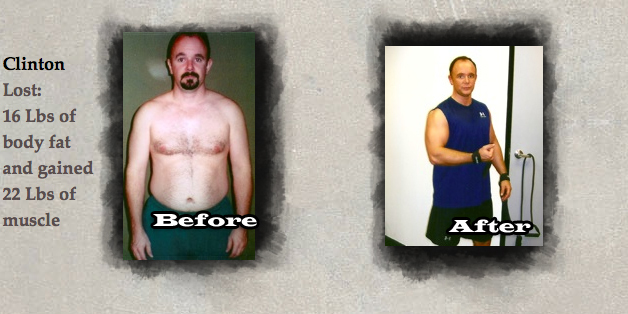 “My Doctor is amazed that over the last 6 years I am very healthy and usually don’t have to see him but about every year and a half or so due to my allergies.” “My percentage of fat to muscle has changed significantly and I am healthier that I have ever been (at 46). Stephen is a wealth of knowledge and very easy to work with. I look forward to working with him over the extended future.” Clinton C.
“Your individual attention is what sets you apart from the rest!” Kathy D.
“I am so glad I had you to start me out Right on my journey to physical fitness.” “I’ve come so far-endurance, strength, and even my tummy muscles are better!” Jeff A. “I dropped four dress sizes and lost 17 pounds!” “Plus, I have so much more energy!” Brenda W.
“I discovered muscles I never new I had and strengthened the muscles that needed a strenuous workout. After 16 appointments with Stephen, 76 different floor exercises and 17 different machines I feel like I belong to the ‘Big Boys Club.’” “My husband and I made the best investment regarding the education on how your body can heal itself with the knowledge and guidance of a trainer such as Stephen. He was always alert in watching my body movements, making sure I was getting full benefit from his chosen exercise circuit.” “Stephen is one of a kind regarding his knowledge of training and believing in what he and I wanted to accomplish.” Diana G.
“Thank you for getting me “back on track” to achieving my workout goals. 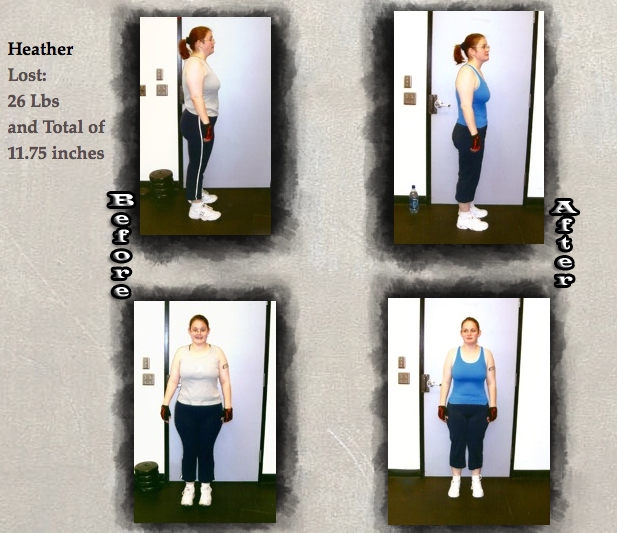 The intensity of our workouts make me realize how out of shape I was...”Michelle W.